NEW FORMAT OF HOSTELS FOR PETERSBURG! The best value for money is a unique hostel with a level of comfort like in high class hotel. Huge common territories for shared use, which you can use at your choice, doing your own business! Why do you need an office? 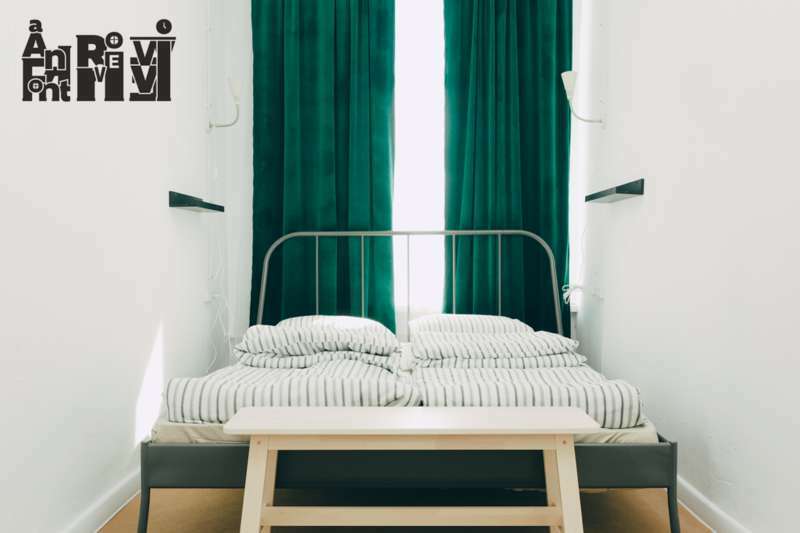 Save money on co-working, in our hostel you will find the best workplace in the centre of Saint-Petersburg! Free Wi Fi, unlimited tea and coffee, and, of course, a sufficient number of power sockets, where you can accommodate with your laptop or phone. Well, if you want to spend time in a friendly company or just allocate time for yourself - you will always find enough space or a cozy corner here. In our hostel the most comfortable rooms are waiting for you! They are designed to meet the most demanding requests of travelers. Nothing will disturb your sleep - we guarantee! We are waiting for you at FONTANKA RIVER VIEW HOSTEL SAINT PE! From Pulkovo Airport: take bus #39 to MOSKOVSKAYA metro station. From Moskovskaya you should take the blue line straight to SENNAYA PLOSCHAD. Transfer to SPASSKAYA metro station (orange line) and go to the next station DOSTOEVSKAYA. Exit metro, turn right and follow Scherbakov Pereulok (lane) to the Fontanka River Embankment. Cross the river over the bridge of Lomonosov (on your left), turn right - Fontanka River View Hostel Saint Pe is located in the building number 51-53, 3nd entrance. Another way: from MOSKOVSKAYA metro station go to the station NEVSKY PROSPECT. Transfer to GOSTINY DVOR (green line). Exit metro, turn right, cross Sadovaya Street and follow Nevsky Prospect to Ekaterininsky Garden. There turn right on the Ostrovskogo Square, and continue to go through Zodchego Rossi Street to Lomonosov Square. Turn left to embankment. Fontanka River View Hostel Saint Pe is located in the building number 51-53, 3nd entrance. From Moscow Railway Station: take bus #3, 24, 27 or 191 and go to the bus stop LITEYNIY PROSPECT. Cross the road, turn right and cross the river over the bridge. Turn left and follow Fontanka River Embankment to the building number 51-53 - Fontanka River View Hostel Saint Pe is located there, 3nd entrance. Besides from Moscow Railway Station you can walk along Nevsky Prospect (approximately 1,8 km).